The Olympics are around the corner, so we thought we&apos;d get into the spirit of the 2018 Games by chatting with one of our own local Olympians, Sara DeCosta-Hayes. 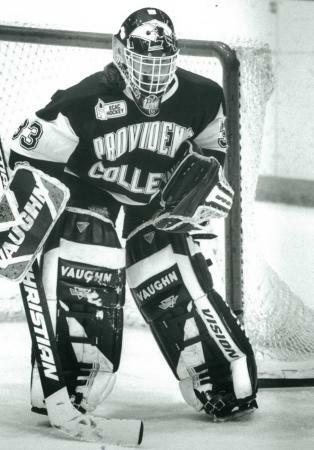 An ice hockey player from Warwick, Rhode Island, DeCosta-Hayes is an alumna of Toll Gate High School, where she played goalie on the boy’s hockey team, and Providence College. She won a gold medal at the 1998 Winter Olympics in Nagano, Japan, and a silver medal at the 2002 Winter Olympics in Salt Lake City, Utah. Here are some of her thoughts on her Olympic experience and this year&apos;s games. What was the most memorable part of the Olympics? Sara DeCosta-Hayes: Growing up watching the Olympics opening ceremony on television was one of the finest memories as a kid. But it is all so different when you are actually there. The opening ceremony is an incredible and amazing experience, wearing the Team USA, red white and blue outfit, walking out with, not just the hockey team, but all of the athletes who represent our country. The first day you get there they put you in a huge room with tons of tables piled with the logo&apos;d Team USA gear. As 19-year-old athletes, this is a dream. They give you enough clothes to last over two months. I still remember trying to ship it all home. 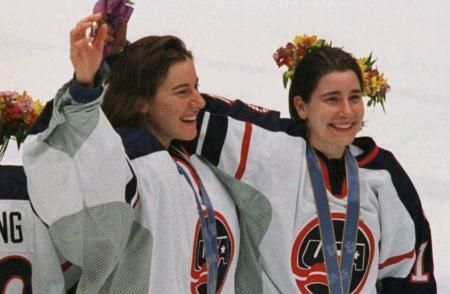 Women’s ice hockey was added to the Olympics in 1998 and you were part of the first team, which also won the first gold. You won a silver medal in 2002 as well. What was that journey like? 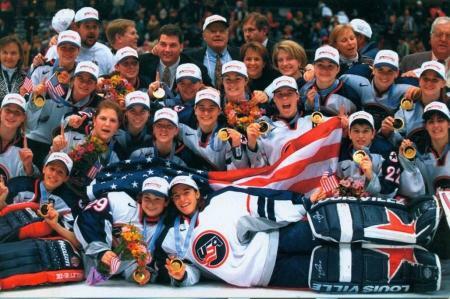 I was a junior in high school when they announced women’s hockey in the Olympics. Up until then it was all just a dream, but suddenly it became a reality. I played with the boys my whole life and had great experience from playing goalie for Toll Gate High. With the Winter Olympics coming up what are you looking forward to most? You definitely cannot miss the opening ceremony. It’s always exciting to see all the teams and athletes walk out into the stadium. Other than ice hockey, what are some of the sports you love to watch during the Olympics? I really love watching all the different sports at the Olympics. From bobsledding to snowboarding, and the always exciting short-track speed skating. The other aspect I really enjoy is the individual stories behind each athlete that they show. What’s your prediction for Team USA this year? I believe the women’s hockey team is the best it has been in years. Tons of incredible young talent — most of the girls are only 20 years old. I think they have what it takes to win gold. As a lifelong Rhode Island resident, what’s your favorite part of Rhode Island? Other than all of our great hidden gems, the best part of Rhode Island is the sense of community. 4. Can’t forget short-track speed skating — one of the most intense sports! Justin Parrillo is the sports coordinator for the Rhode Island Sports Commission, a division of the Providence Warwick Convention & Visitors Bureau. He is a Rhode Island native with a sports management degree from Lees-McRae College in Banner Elk, N.C., where he was part of the Division I Cycling Team and a broadcaster for the “Athletics” television program. Besides his passion for all things sports, Justin enjoys traveling, along with finding new bars and restaurants.